Chris Evans Jokes About Captain America Dying but Claims He's "Not Retiring"
Chris Evans is the face of one of the most iconic characters in the Marvel Cinematic Universe, Captain America, and has had a spotlight role in the franchise ever since 2011 with 'Captain America: The First Avenger'. After the ebullient release of the infamous 'Avengers: Infinity War' in 2018, the Marvel fan-base has exploded into a frantic mess of dedicated superhero lovers, desperate to know the uncertain fates of their favourite heroes. Of all the original Avengers, Captain America's fate is one of the most uncertain; in the comics the characters has had a variety of unpleasant death scenarios, one of the most infamous of which was at the hands of Iron Man. In the comic titled 'Civil War', the Captain was gunned down by Tony Stark's forces after having surrendered, making it one of the most controversial endings to the character, and also the one which lasted the longest in the comic universe: the Steve Rogers remained dead in the comic books for four years until 2009. While the chances of him dying in such a manner in the film universe were reduced after he survived 'Captain America: Civil War', a recent joke made by the actor has fans blooding running cold with fear. In an interview with The Hollywood Reporter, he joked about only watching the first hour of 'Avengers: Endgame', saying, "after I die by Tony's hand, I just said, You know what? I can't watch this. [...] It's hard. Seeing my own death. It's going to be a long movie, that's for sure. The first edit clocked in over three hours. My funeral's like an hour." Roger that? Joke or not, that comment feels far too close to reality to simply ignore! We're sure Evans knows better than to drop real spoilers in interviews (he isn't Tom Holland, after all), but could this be a bluff? Or a double bluff? Less than a month remains until all of our questions will be answered: 'Endgame' comes to cinemas worldwide on April 25th. 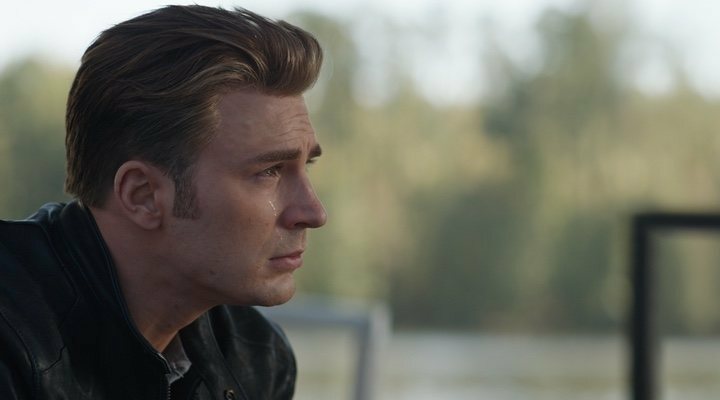 Despite Evans' jokes about the death of everyone's favourite star-spangled superhero, in the same interview he also shut down rumours that he would be retiring from acting after the release of 'Endgame'. Although his contract with Marvel will have ended, he said, "I never said the word 'retire' [...] it's not something you retire from". The actor does indeed have several projects in the making, including Rian Johnson's 'Knives Out', and 'Defending Jacob', a new series being prepared for streaming on Apple TV+. If Evans is not completely hanging up his acting hat, could that mean that we might see him returning to the Captain's cape in the future? Only time will tell whether the Captain survives the final battle against Thanos.